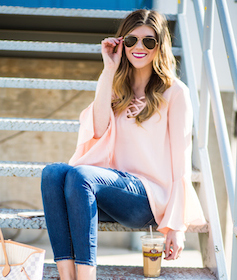 Holiday outfits are my absolute favorite! I love wearing all the festive colors and getting everyone involved! This year we decided to do extended family pictures with my mom and sister’s family and I am so happy with how they turned out! Monica Bartels Photography took them and we couldn’t be happier with the result! We decided to stick with a holiday stripe or buffalo plaid to mix together to create the perfect holiday outfits! I mean…does it get any cuter?! This right here is our crazy y’all & it couldn’t be more fun! 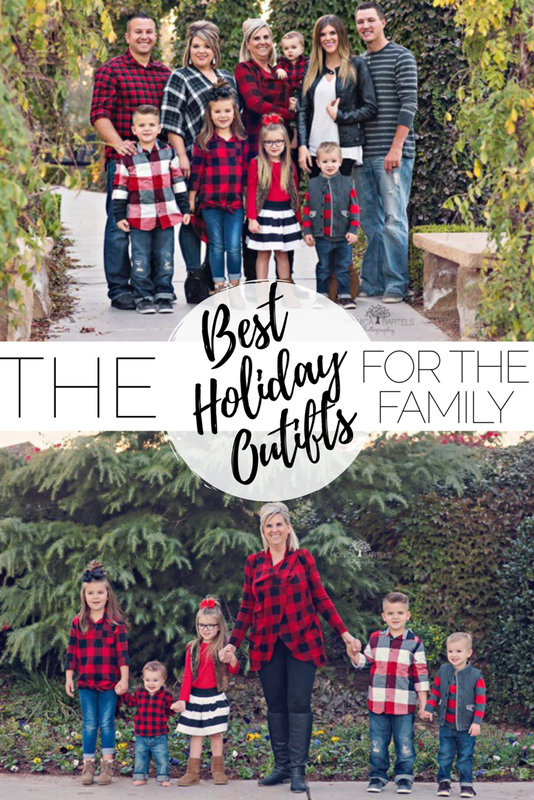 Now check out my post here for ——> NON-HOLIDAY FAMILY PICTURE OUTFITS! Shop all the best deals this holiday season here! Love your Buffalo plaid top! Where did you find it?